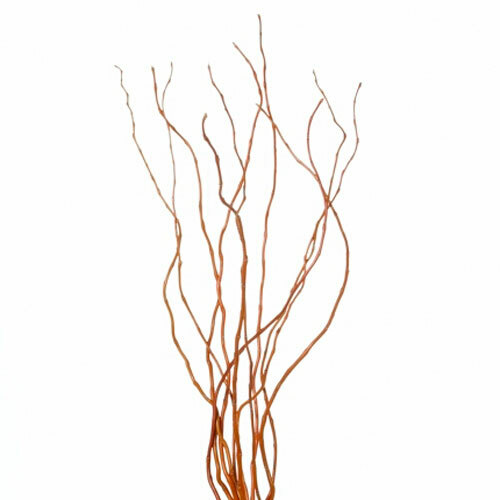 A grouping of the tips of willow branches, hence “Curly Willow Tips”. These tips are often a tan to medium brown depending on where they are harvested and typically are about 3 feet in length. If left in water for a long period of time, they may start to grow leaves as they are the live variety, not dried.